To make an appointment click here or call our office at (703) 548-0122. If you are an existing patient please download the existing patient information packet and complete all of the forms prior to your next appointment. 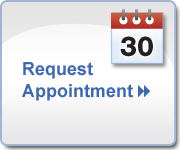 Due to the high demand for Saturday appointments, all scheduled Saturday appointments require a credit card to reserve the appointment time. Please provide 24 hours notice of cancellation. If 24 hours notice is not provided, a non-refundable $25 fee will be charged. Thank you! If you are a new patient, please be sure to fill out all the forms provided above and bring them to our office at the time of your appointment. We kindly request 24 cancellation notice for all appointments made. If you are more than 15 minutes late for your appointment, please be advised you may have to be rescheduled. Please download our financial policy here. Vision insurance is meant to assist in reducing the actual fees for eye care services. Many of us think that insurance pays 90%-100% of all fees but in most cases only pay 50-80% of total fees. The percentage paid is determined by how much you or your employer has paid for coverage or the type of contract your employer has set up with the insurance company. Your vision benefits are based on the policy purchased by you or your employer. Insurance companies set their own schedules and each company uses a different set of fees they consider allowable. These allowable fees vary widely because each company collects fee information from claims it processes. Fact 3 – Deductibles and co payments must be considered. When estimating vision benefits, all deductibles, percentages and co payments must be taken in to account. All of these add to the total cost of total fees that must be paid by the patient.